The Department of Mathematics as started in the year 1980-81 with the sanctioned strength of students 25 in each English Medium and Tamil Medium. 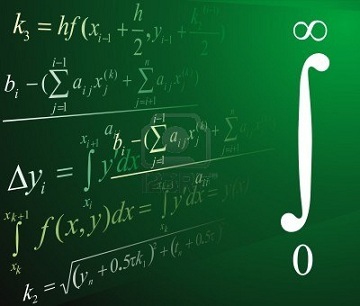 Applications from students seeking admission for U.G Mathematics are increasing every year. We are admitting additional 30% strength with the permission of the university every year. In this year, 453 students are doing UG, 66 students are doing P.G. and 32 students doing their Ph.D Programmes. The International genius in Mathematics, Sir Sri Srinivasa Ramanujan was born in Thanjavur District. The Students of Mathematics have been getting Distinctions and there are many Rank Holders for the past many years. The Department consists of very well qualified faculty members with M.Phil and Ph.D degrees. They have also acquired specialized knowledge in computers. A good number of faculty members in the Department are interested in updating their Knowledge and they enthusiastically participate in seminars and conferences and publish their papers in reputed National and International journals. The Mathematics department conducted the UGC sponsored National Conference on "Development in Mathematical Applications" in the year 2005 and also conducted UGC Sponsored "National Conference on Advances in Mathematics: Scientific Development and Engineering Applications" in the year 2009. The Department faculty members are specialization and venturing into research activities in the following areas: Mathematical Modeling, Stochostic Processes, Fuzzy Mathematics, Operations Research.